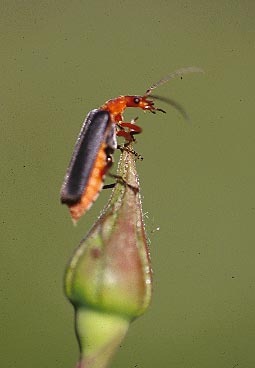 A predaceous soldier beetle looking for aphids to eat. 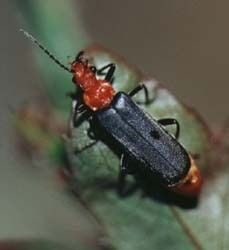 There are several species in this group of beneficial beetles. 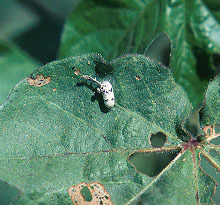 If you have aphids, count on this beetle as your friend in the garden as it will devour huge numbers of aphids. 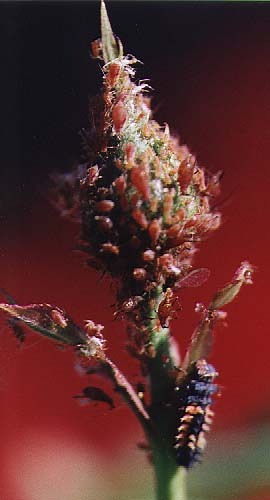 Aphid mummy -- this is a dead aphid that was parasitized by an aphid wasp. 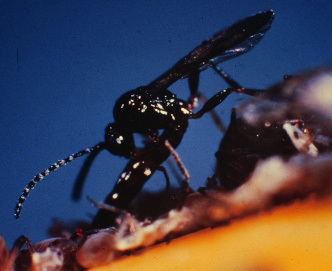 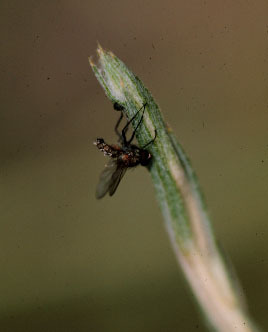 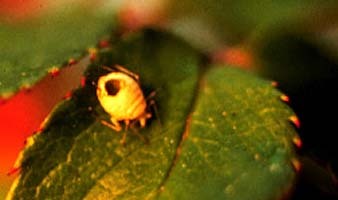 Note emergence hole on the dorsum of the aphid. 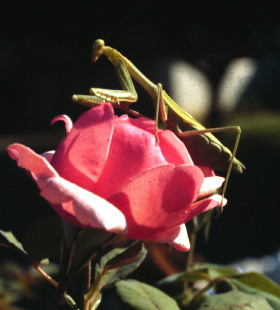 (Picture courtesy of Bob Alde). 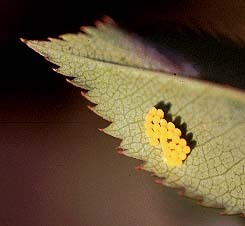 The cocoon of a parasitic wasp on top of a leaf. 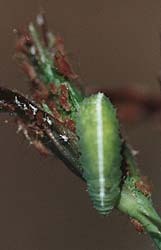 This is all that is left after the wasp larva feeds on the insides of the caterpillar. 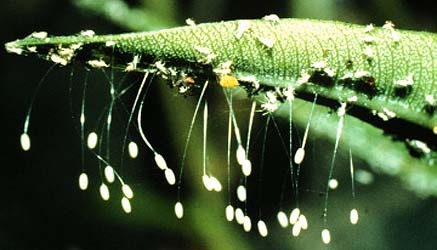 A small parasitic wasp will emerge from this cocoon to repeat the cycle. 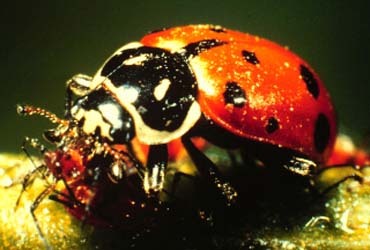 The twice stabbed lady beetle and larvae feeding on scales. 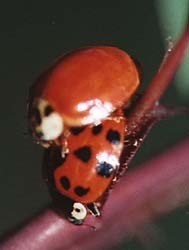 The Asian Multicolored Lady Beetle. 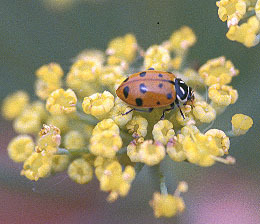 One of the most abundant ladybeetles in the home garden. 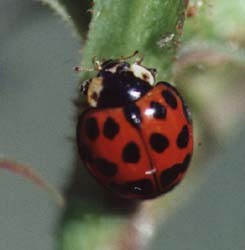 The convertgent lady beetle is also very common especially in early spring when the aphids are abundant. 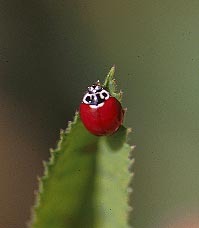 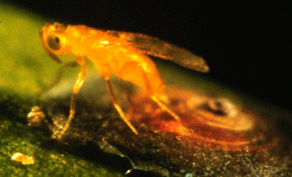 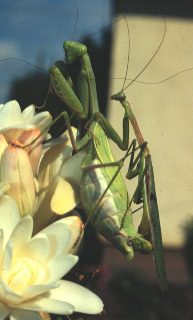 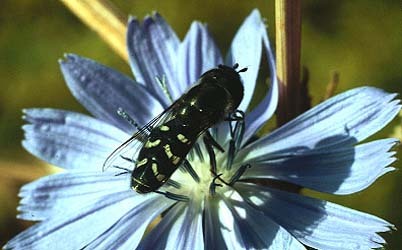 Adults are found in many of the flowering plants. 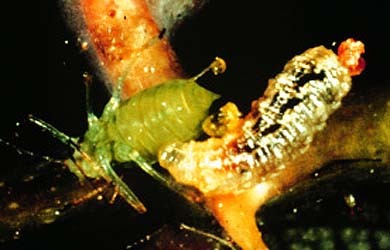 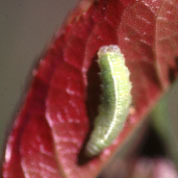 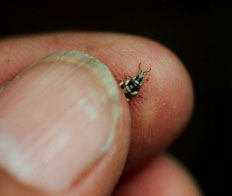 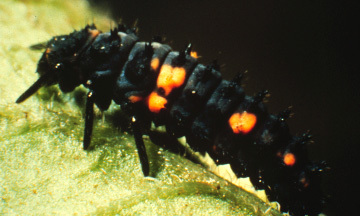 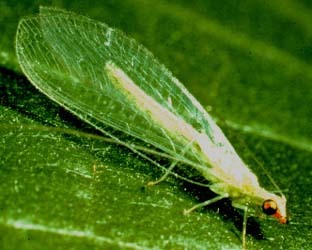 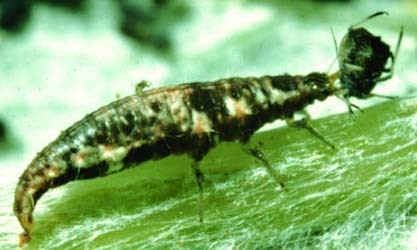 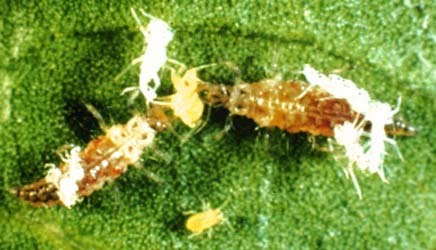 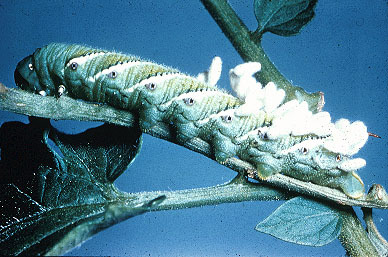 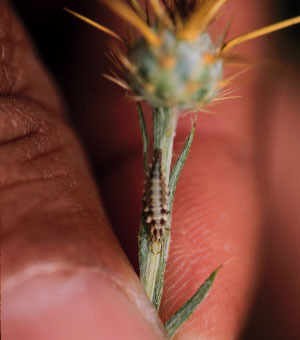 The larvae are very common around aphid infestations. 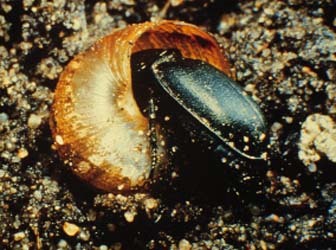 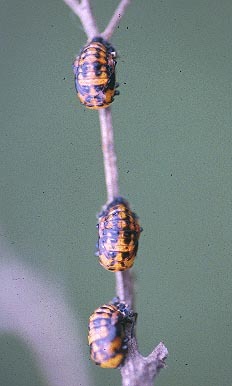 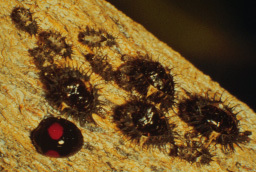 The ladybeetle pupae are often mistaken for beetle pests.